Feels like a tropical oasis in the North: with crystal clear water and a white sand bottom, you’d almost think you were somewhere tropical…until you jump in the water. Here I am enjoying the beautiful water at Bronte, Oakville, Ontario. Photo by: Shannon at PaddleWagon. 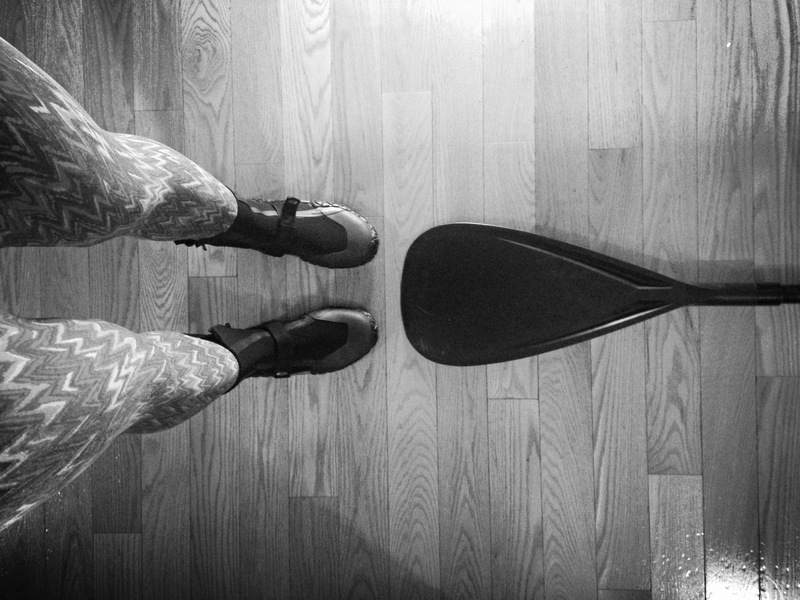 First February paddle ever! We did it right this time – full wetsuit, neoprene gloves and booties…..and a beautiful new board 🙂 Big shout out to the fabulous ladies at SurfOntario who helped us get all geared up for our cold water paddle. For my birthday this year, my friends didn’t just plan me a surprise birthday party; they surprised me with a 23-kilometer paddle down the Saugeen River! I couldn’t have asked for a better way to celebrate my youth 😉 . The Saugeen River trek was one that I had talked about doing for some time but had never managed to organize myself. I’m lucky to have such great friends who executed a flawless paddle adventure. I am a self-professed grammar and spelling nerd and it irks me that I do not know the correct term for stand-up paddle(boarding). There is absolutely no consistent approach out there – sometimes ‘board’ is included, sometimes it’s not; sometimes standup is one word, sometimes it’s not. Even on this very blog, I’m guilty of throwing around different terms. I decided to do some research. Not only does one constantly get photographed while SUPing (I often wonder how many strangers’ sunset pictures I’m in), you will also get asked many, many questions. Why it’s stand-up paddleboarding of course!